Childhood is moment after moment after moment of unabashed creativity flying by at the speed of light. Think about it! Our children make “art” with food, they “create” on the walls, paint in the bathtub, and discover through creating sounds. It can be crazy making for mommies at its worst and, yet, our children continue to be creative! As they grow, they begin to build block towers, cover the floor with LEGOs, and become inventive storytellers. Their non-stop creation of games, weapons, battles, and pretend enemies (I’m a boy mom, can you tell?) are both exhausting and joyous to watch. It made me wonder. When will they no longer be creative, and why will they stop? When did I stop being creative? Why Do We Cease to Intentionally Create? Some say that we are afraid of our own creativity. But I believe we are actually afraid of other people’s judgments of our creations. When was the first time someone told you something you created wasn’t good enough? Or gave you a side-eye that meant the same thing? Can you remember that feeling them judging you as not enough? Feeling that we are not enough will shut down our instinct to create and send our creations into the world. Elizabeth Gilbert teaches that, as creative beings, it’s not our job to judge our own work. It’s merely our job to create it and to send it out into the world. My early creations included paintings, building, drawings, and creations in sand. 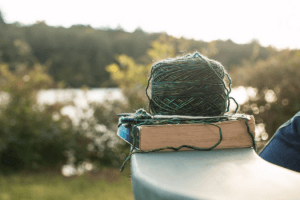 When I was older, the creations were more complicated – macrame (a big boo-ya if you remember that craze), making braided rugs, candles, leather tooling, knitting, and crochet – I couldn’t get enough. As I grew up, I eventually abandoned my creativity in favor of school work, tests, jobs, and friends. I put all those creations out into the world without giving so much as one thought about how people would respond. And the reality is, children’s creations are frequently praised, so there wasn’t much to worry about. Not so for adults. 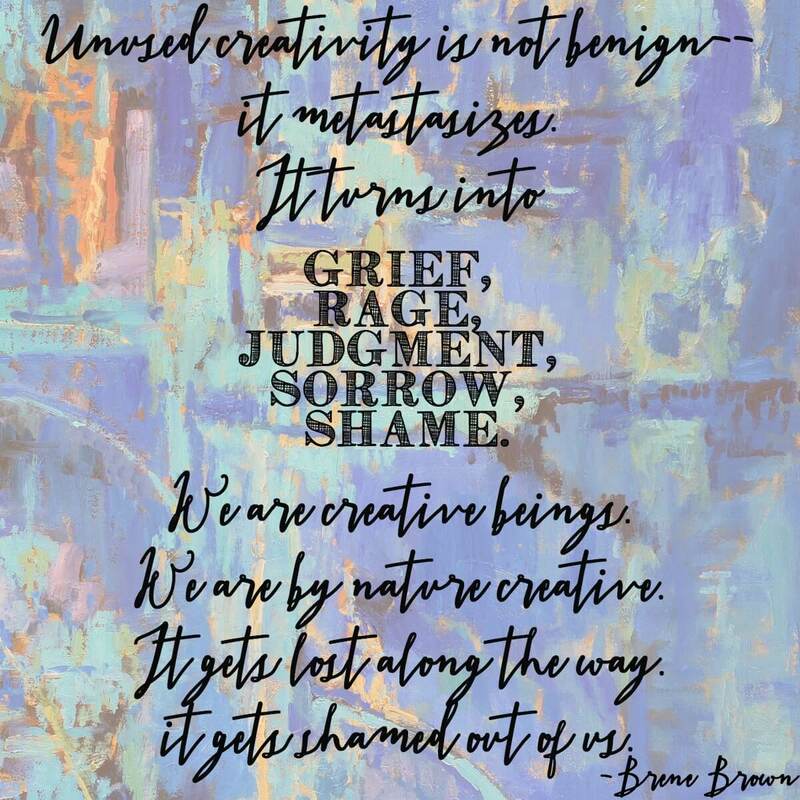 What Replaces Our Drive to Be Creative? As an adult, despite the fact that I never nurtured it, my creativity kept oozing out of me in ways I did not recognize. Decorating, DIY projects, gardening, cooking – all of these became ways for me to create. These were my creations that consistently drew praise. But, at the time, I didn’t even realize that this was my creativity. 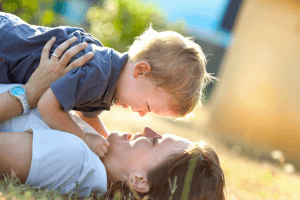 Once we begin pouring ourselves into our children and our work, it can be easy to neglect the creativity that we own. Once I recognized this, I hustled to begin nurturing my creativity again – in small ways. Any expression of my creativity is healing and empowering. No matter how small or how big – from coloring on my own to working for over two months perfecting a piece of writing that meant a lot to me, my adult expressions of creativity are helping me re-discover who I am. We all long to be creative and we aren’t afraid of our creativity. Humans are meant to be creative beings. Our creativity is our way of sharing ourselves with the world – a way of making ourselves seen. Our creativity can be our authenticity at its very best. I have enjoyed exploring my creativity both with my children and on my own. I’ve come to realize that to put my creativity out there in the world – all the while recognizing that the process of creating it is all that matters. The process has been and continues to be freeing and nurturing. These steps feel like I’m pulling myself closer to that little girl who needed to be creative and who created intuitively and effortlessly. I encourage you to try anything small – take a first creative step to re-discover yourself.